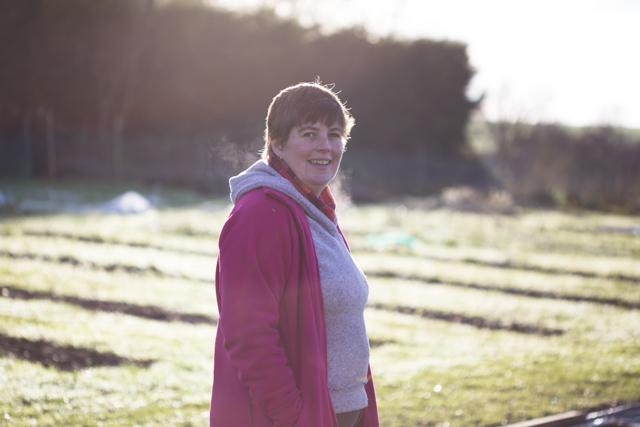 Claire had been in horticulture for 21 years in late 2012 when she decided that she'd rather like to set up a flower farm. With 12 years of Garden Centre management including 5 years as the Plant centre manager at RHS Wisley, and 9 years of running her own gardening and design business she thought growing and selling flowers would be an easy continuation. She was wrong of course, the last 6 years haven't been easy, but although the learning curve has been extremely steep, the seeds do grow into flowers, they get picked and conditioned in the barn, and customers, both florists and locals come back time and again. We keep spreading the word so that more people know that there is an alternative to flown in flowers, and the scent of a barn full of sweet peas, mint and roses in the summer is enough to keep us going when our backs are sore.